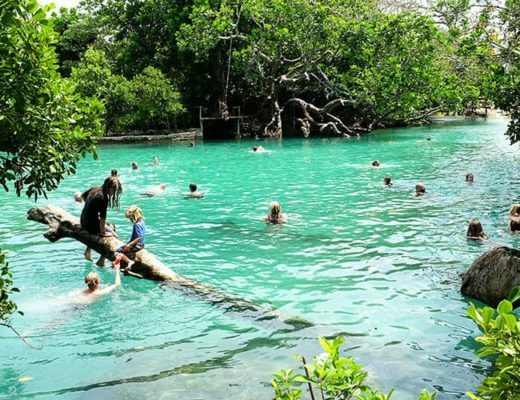 Are you looking for an extraordinary getaway for you and your family near Santo Vanuatu? Then you will love Ratua Island Resort & Spa! 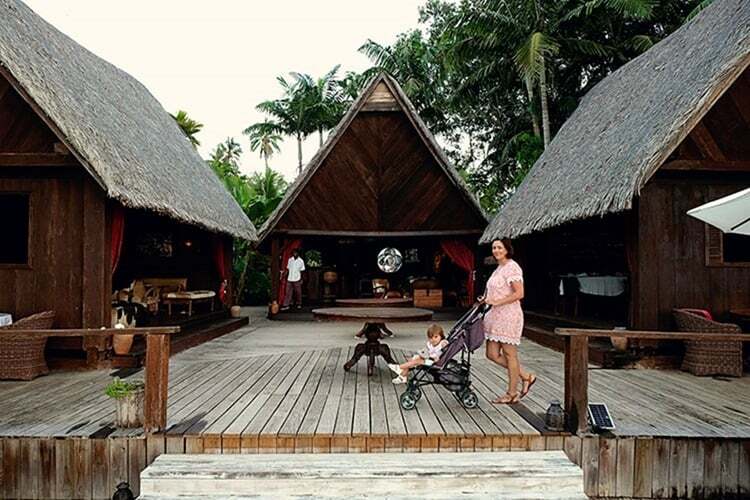 Welcome to the amazing Ratua Private Island Resort. Get ready to unwind and relax like never before, and indulge in the extraordinary culinary skills of the resort “magician” chef! If you have ever dreamed of escaping from your hectic schedule and hiding out on an idyllic tropical island, then this is your chance. Ratua Island Resort & Spa is the quintessential tropical paradise located close to the Southern coastline of Espiritu Santo Island. Built on sixty hectares of beautiful land, Ratua Vanuatu Resort is just a half-hour boat ride from the airport at Espiritu Santo Island. Alternatively, you can choose to fly to the island, as Ratua has a private runway where private planes can land on request. From a rich variety of fauna and flora, white beaches, waterfalls and shimmering turquoise waters, the resort offers visitors unforgettable and magical moments. Here is a video to show you how much fun we had at Ratua Resort Vanuatu! 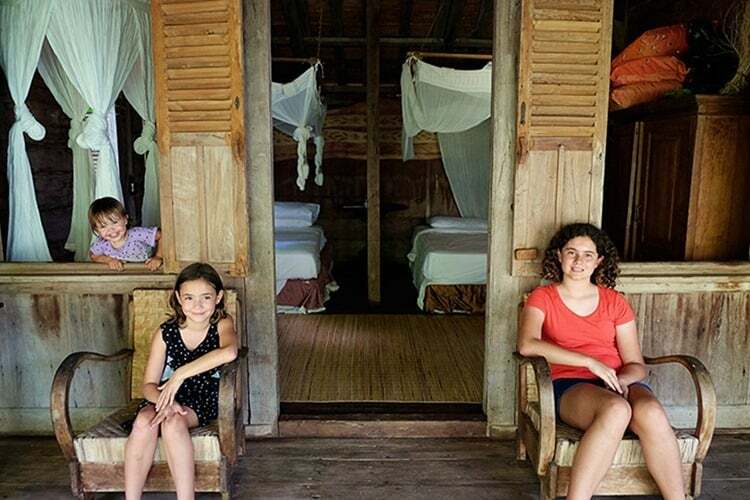 Find below helpful information about our family stay at Ratua Island Resort & Spa to help you decide whether this is the right resort for your Vanuatu holiday. 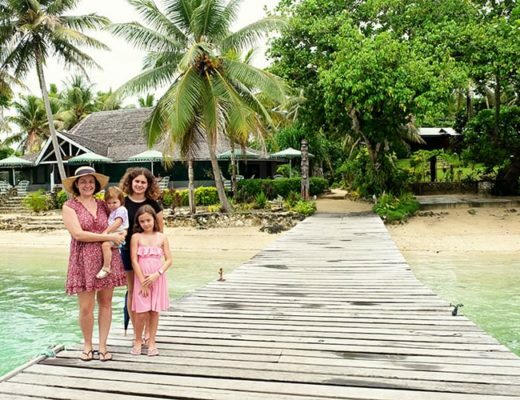 Ratua Private Island was established by a philanthropic French billionaire who fell in love with the island as he was touring the South Pacific region. After getting permission from local elders, he pledged to take care of the island's unspoiled environment and respect the traditional ways of the local communities. 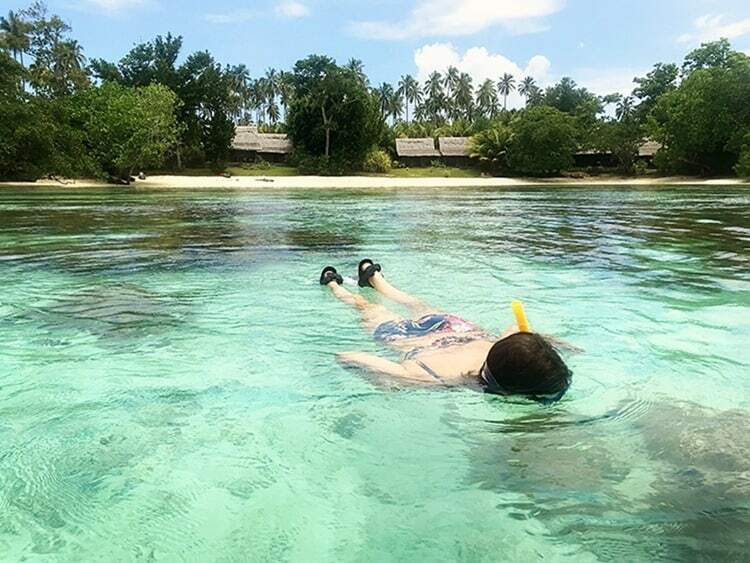 How to get to Ratua Private Island Resort? When you arrive at the Espiritu Santo airport, you will be greeted by a service team member, and then taken to Ratua Lounge located in Luganville, Vanuatu’s second biggest city. From the lounge, it will take only about 30-minute motorboat ride to the island where a warm welcome and a refreshing drink will be awaiting your arrival! 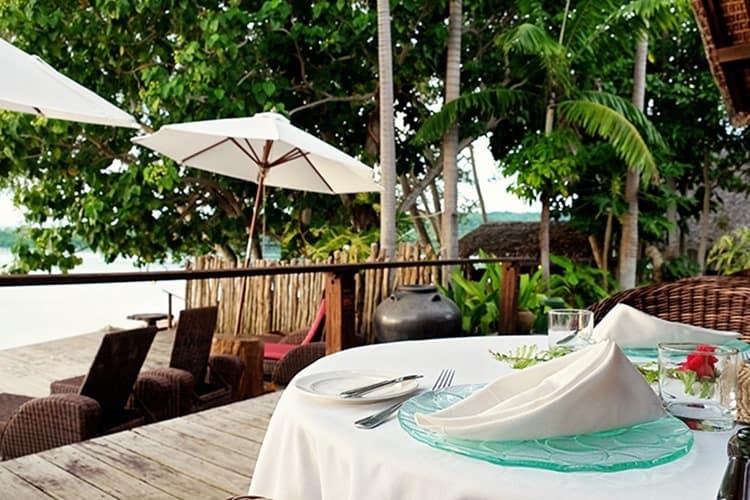 Ratua Resort Vanuatu comprises of 15 charming villas built using traditional Indonesian style, and they are arranged in three villages: West Point Village, Fish Village and South Point Village. 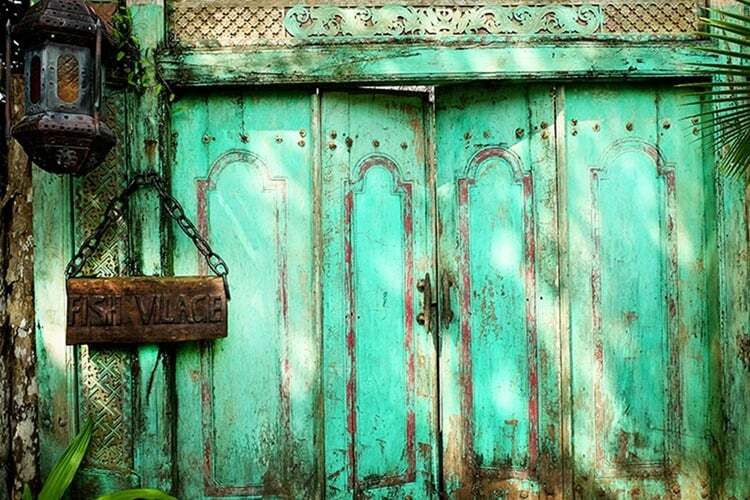 One fascinating thing about the villas is that they are over 200 years old. The owner of the resort had them shipped to the Ratua Island Vanuatu from Indonesia and created the magical hideaway we can all enjoy today! Every villa (which has one or two bedrooms) has a private terrace and it is surrounded by lush gardens. 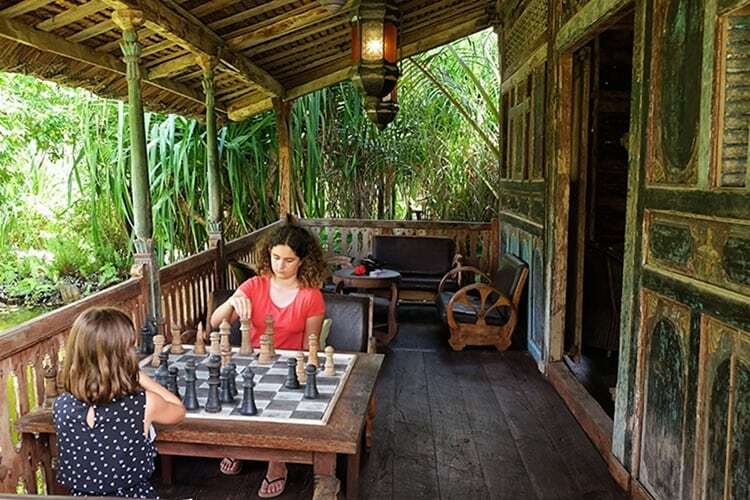 The villas are named after Indonesian animals, such as a tiger, crocodile, and monkey which are depicted by elaborate carvings placed on the lush walkways that connect the villas. Ratua Resort villas do not have air conditioners, there are no TV’s, thus allowing you to fully connect with nature. The spaces only are cooled down by wooden ceiling fans and sea breezes only. This is in keeping with the eco-friendly theme of the resort. As you stroll along the pathways of the resort, you will spot strategically placed lounge chairs. That way you can chillax and absorb the blissful atmosphere of the resort, whilst enjoying the view over the rocky sections and the private beaches. There is no plastic is used in the construction of the villas and the resort is mainly powered by solar energy. In order to minimize the carbon footprint, the boats at the resort are partly fuelled by coconut oil. Eco-friendly all the way here! 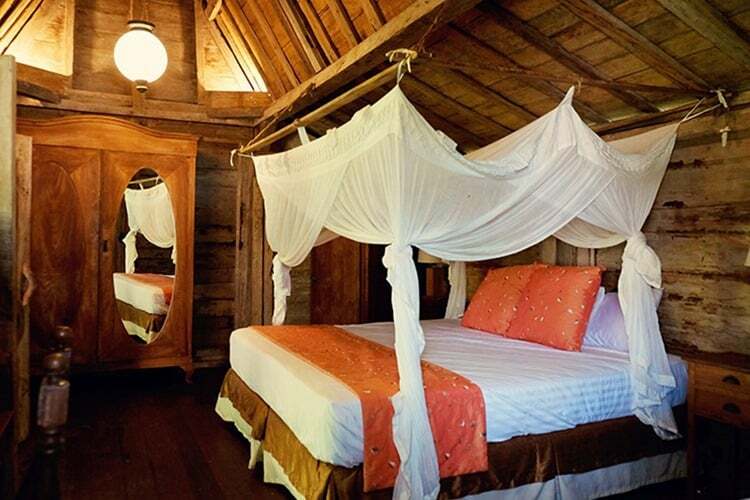 The Indonesian-themed villas have an air of rustic luxury and they are elegantly furnished with assorted vintage pieces, for example, cowhide poufs and rugs, wicker settees, Thai silk curtains and four-poster Balinese beds.The rooms are expansive and we loved the massive and comfortable beds. Each villa boasts of an en-suite bathroom, a lounge and an adorable terrace with easy access to the beach and ocean. The villas are categorized into Deluxe Beachfront Marquees, Deluxe Beachfront Villas, Two-Bedroom Deluxe Courtyard Villas, The Grand 2 Bedroom Courtyard Villa and Grand Beachfront Villas. We stayed at a Deluxe Courtyard Villa in the Fish village. Covering 75 meters squared, these beautiful and spacious villas consist of two buildings that are linked by decks. In the main building, there is an open space with a lounge and a Queen bed, while the other building holds two single beds. The villas have one bathroom and ample space for the family. The maximum occupancy for these villas is four people. Each room is equipped with a ceiling fan, electric outlets (220 volts), an in-room safe and a full-size bar/fridge. Guests are provided with beach towels and bathrobes and there is a complimentary evening turndown service. You will also be given a hairdryer on request. The bathrooms are fitted with showers, dual sinks, and local organic bath products. There is a game and media room where you can keep in touch with the outside world using the free WiFi service. In addition, a cellular network covers the whole island. The Yacht Club is the resort's main eating area. It is an open-air dining room bar and lounge that radiates around a central deck. 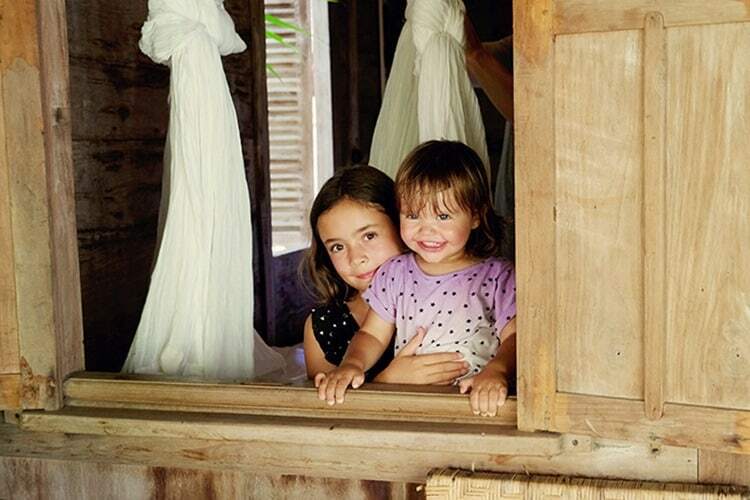 The main cooking ingredients are sourced from the kitchen garden where organic fruits and vegetables are grown. in addition, the beef, pork, eggs, and milk are all sourced in-house, while local anglers supply a wide variety of fish. The head chef supplements all these with exotic ingredients like water taro that are bought at the market in Espiritu Santo every day. Another thing we liked about this resort is the fact that the hotel can prepare almost anything upon your request. Alternatively, you can enjoy a barbecue at the beach. When you are thirsty for a drink, the Wine Cave serves the best New Zealand and Australian wines. In addition, there are exclusive French wines and champagne brought from the owner's vineyard. When you wish to relax and unwind, the resort has a spa that is housed in a charming villa that sits on stilts and is surrounded on all sides by the ocean. It comprises of two private treatment rooms and an open-air lounge that has spectacular views of the water. The staff is skilled in massages, body scrubs, reflexology, and manicures. We especially loved the lavender oil massage. 2. Water Sports, Horse Riding and More! For fun and adventure, the resort has myriad activities including mountain biking, snorkeling, canoeing, and archery. Other activities include guided nature walks and shipwreck dives. If you fancy yourself as an equestrian, there are over 20 horses roaming free on the island. A wrangler will be on hand to saddle up one of them for you and assist you to roam around the island on horseback. 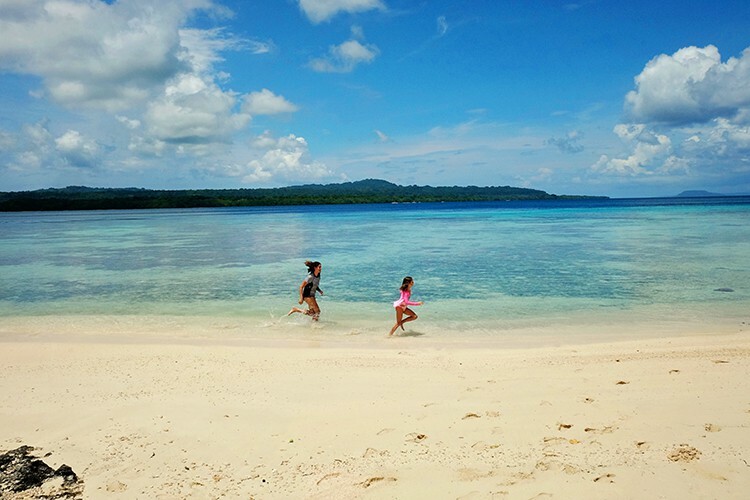 At low tide, you can cross the water and explore the neighboring Aore Island. 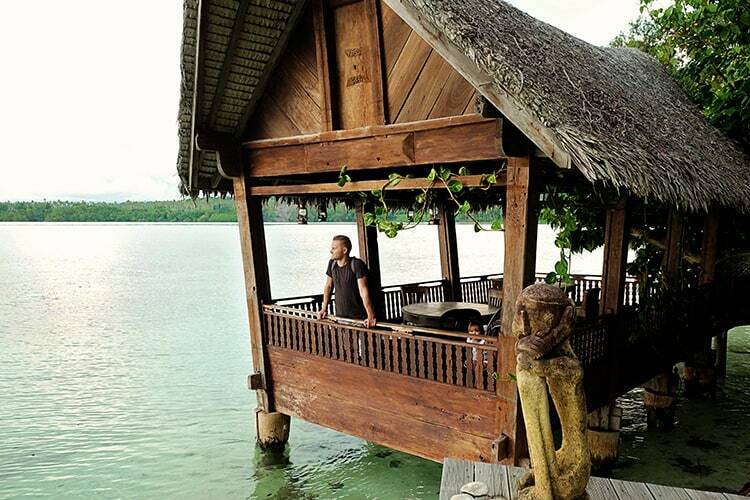 Ratua Private Island is an eco-resort and you will experience the nature up-close. There are no glass windows in the villas and the air-conditioning is non-existent. The only form of cooling down in the heat are the ceiling and free-standing fans. If there was air-con available, it would be a much more comfortable sleep for sure. 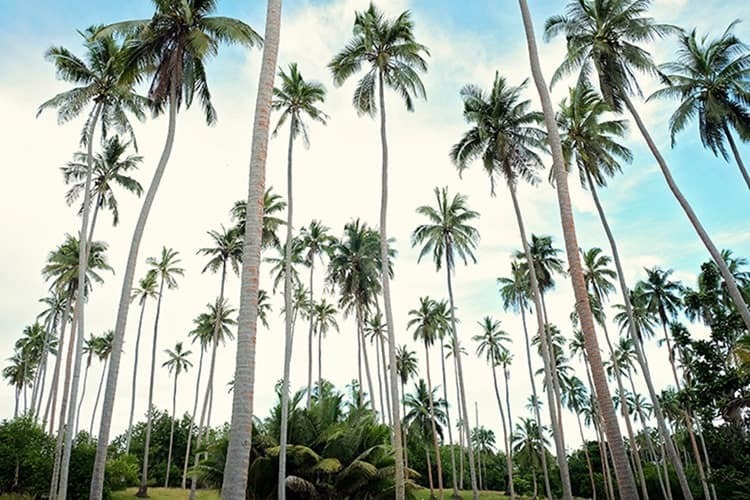 Even though Ratua Private Island is incredibly beautiful, the thing we loved most about this resort is the warm hospitality of the local people, who also form the largest proportion of the staff. The focus on environmental sustainability also made our stay to be special and memorable. This beautiful five-star resort is the perfect place when you want to get away from the madding crowd. Special thanks to Ratua Island Resort & Spa for hosting us for our stay. As always, the content & opinions expressed here are entirely our own. Looks like an amazingly beautiful, relaxing place! 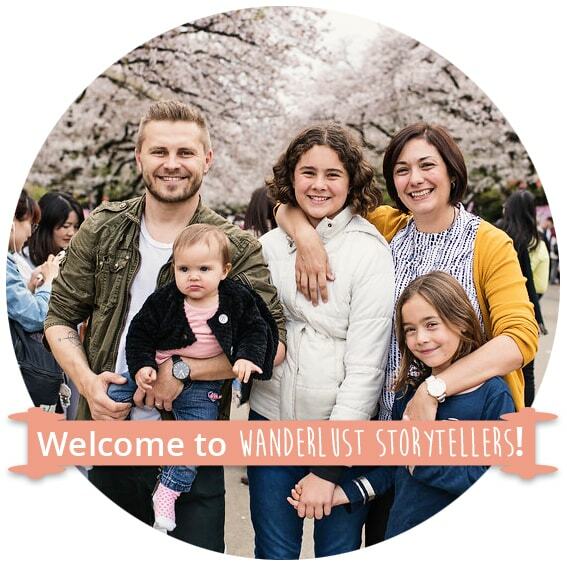 It truly is a wonderful place to stay!